damn mnt that looks effin wonderful brotha! all of the bud structures look similar. what are the main differences between the lapk and bubba. I have not grown or smoked any of the three. fantastic job, they look well maintained, yeah. Last edited by Brastaman; 08-20-2008 at 02:29 AM..
Beautiful girls Gato...How low do you have to keep your temps to get that much color? Damn beautiful plants brotha. Whats the deal with the purple indica? She cut only? 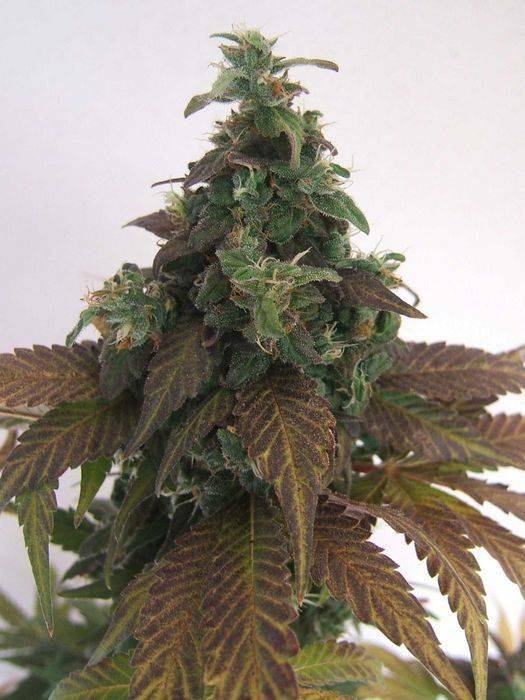 looks a bit like your purple indica plant, doesnt it ? Last edited by highclasscandy; 08-20-2008 at 06:24 AM.. Damn Im pissed I lost the puss/purekush. Those are some sick pics man! I have 2 different bubbas about 6 weeks into bloom right now and I cant wait. I had major heat burn issues my last 2 runs so to have some decent looking is a huge relief. Here they are a week or so ago.